1 Much less noise in ears than the normal cavitation. 2 3D RF system for body, face and eyes,no electric shock,more safe. 3 Intelligence frequency adjustment technology ,no skin hurt or burned. 5 Effective result can be seen immediately, save time and money. 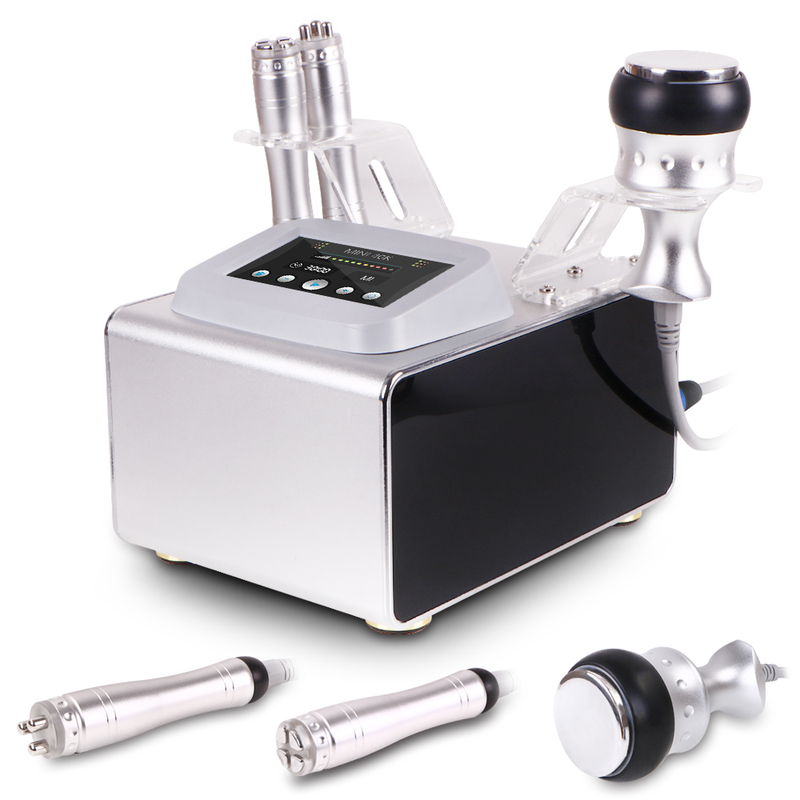 The unoisetion cavitation 2.0 is with intelligent frequency, it can adjust the frequency according the temperature of the targeted derma during fat dissolve. So people will not feel very hot during operation, this also saved much working life. This cavitation 2.0 also makes the cavitation probe produce much less noise in ears during the treatment, which gives you one much comfortable experience. The 3D Smart RF will produce the heat after it touched the skin complete. The heat will promote the skin to produce the collagen, then to remove the wrinkle.